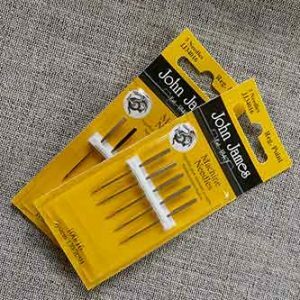 A range of quality sewing machine needles in a variety of types including universal, stretch, ball-point, jeans, leather and quilting. 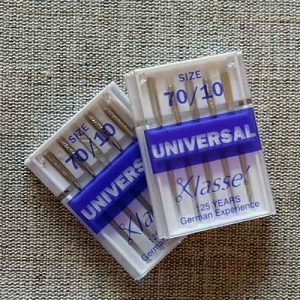 Klasse universal machine needles. Fine, size 70/10. Pack of 5. 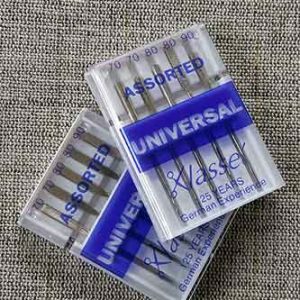 Klasse universal machine needles. Assorted sizes. 70 - 90. Pack of 5. 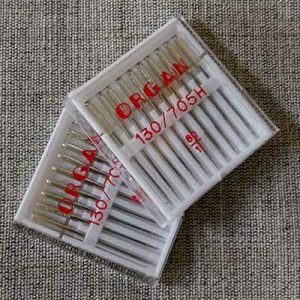 For professionals and prolific sewing enthusiasts, these boxes of 10 quality Organ brand 80/11 needles represent excellent value. 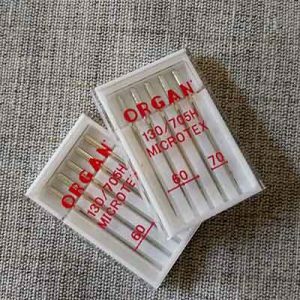 Microtex needles, sizes 60 and 70. 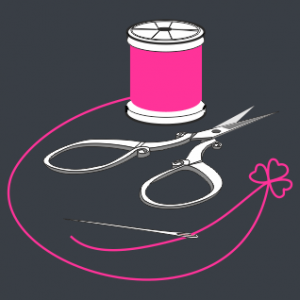 Designed to be used with micro fibers, polyester, silk, foils, artificial leather, and coated materials such as laminates. Packs of 5. 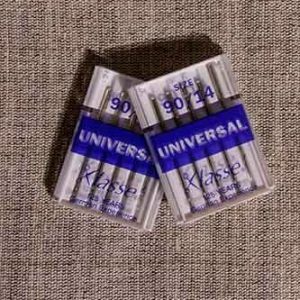 Klasse universal machine needles. Size 90/14. Multi-purpose needle, commonly supplied with entry-level machines. Pack of 5. John James denim machine needles. Size 100/16. Pack of 5. 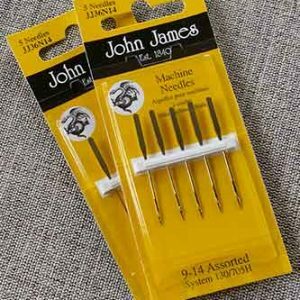 John James assorted ball point machine needles. Sizes 70-90. Pack of 5. 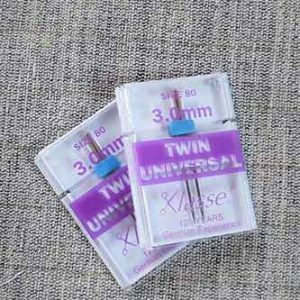 Klasse universal twin needle. Size 80 x 3mm. Pack of 1. 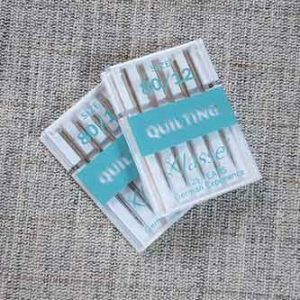 Klasse quilting needles. Size 80/12. Pack of 5.